At Olo we develop an online food ordering platform used by many of the country’s largest restaurant chains, reaching millions of consumers. Chances are if you’ve ordered directly from a restaurant brand’s app or website, we’ve made that happen. Mobile ordering and payments is an exciting and active industry full of interesting players and yet still a relatively untapped market ripe for disruption. We’re quite up-front about the technical challenges our business faces. Running a platform with multiple white-labeled front-ends, that maintains real-time connections into thousands of restaurants’ POS systems, and coordinates complex transactions between these and other third parties (such as payment gateways and gift card providers) is not for the faint of heart! Do you like the thought of fighting cybercrime at scale, watching fraudsters struggle against your defenses, while protecting over a hundred million user accounts? Fraud is an ongoing concern among restaurant brands, and we aim to make fraud defense a competitive advantage in our product offerings. 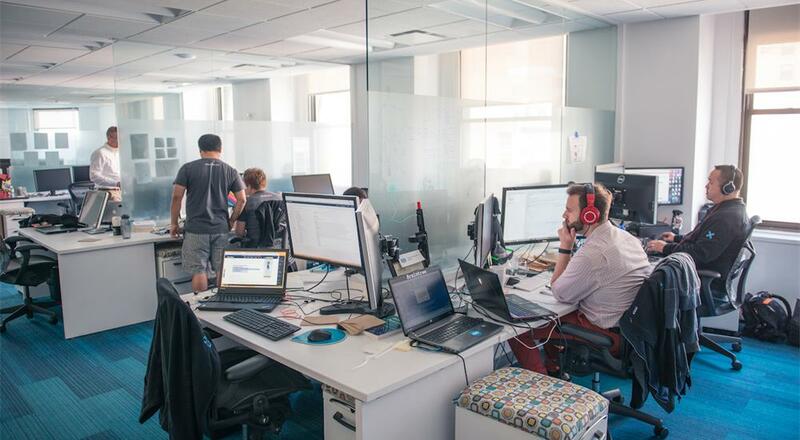 We’re looking for a software engineer to help fight fraud on behalf of our clients. You’ll be responsible for detecting, fighting, and preventing: credit card fraud, account takeover attacks, gift card enumeration attacks, and distributed botnet attacks of various kinds. Any engineer may work at Olo’s headquarters in New York City’s Financial District or remotely from anywhere in the U.S. In fact, more than half of our engineering team is remote! Sharpening our credit card fraud prevention service, Shield. Enhancing customer frontends to encourage good security practices. Improving monitoring and alerting for suspicious activity in our applications. Creating automation to respond to fraud reports in an efficient and professional manner. Evaluating and integrating with third party service providers. Building visualizations and reporting tools for our clients. Advising development teams to ensure anti-fraud measures are in place. This is a full stack engineer position. Your work will span all layers across multiple projects in a large, distributed system. Our tech stack includes C#, F#, Ember, SQL Server, PostgreSQL, Redis, ElasticSearch, Datadog, SumoLogic, Cloudflare, and a number of AWS services including Redshift, SQS, S3 & Kinesis Firehose. We don’t expect candidates to be familiar with all of these technologies, but in this role you will gain experience with most of them. An ability to put yourself in a fraudster’s shoes and think like they do, so you know what we are up against. An ability to work well with others. You will be working in the codebases of many teams. You will need to communicate well and minimize disruption. At least 3 years of professional experience as a full stack software engineer. Proficient in multiple programming languages, frameworks, databases, and OS’s. A background in fraud or security. Experience working on SaaS products or distributed systems. Experience with PII security frameworks such as NIST 800-122. Olo is the on-demand interface for the restaurant industry, powering digital ordering and delivery for over 200 restaurant brands. Olo’s enterprise-grade software powers every stage of the digital restaurant transaction, from fully-branded user interfaces to the back-of-house order management features that keep the kitchen running smoothly. Orders from Olo are injected seamlessly into existing restaurant systems to help brands capture demand from on-demand channels such as branded website and apps, third-party marketplaces, social media channels, and personal assistant devices like the Amazon Echo. Olo is a pioneer in the industry, beginning with text message ordering on mobile feature phones in 2005. Today, millions of consumers use Olo to order ahead (SKIP THE LINE®) or get meals delivered from the restaurants they love. Customers include Applebee’s, Chili’s, Chipotle, Denny’s, Five Guys Burgers & Fries, Jamba Juice, Noodles & Company, Red Robin, Shake Shack, sweetgreen, Wingstop, and more. Olo is located at 26 Broadway in the historic Standard Oil Building, the former home of John D. Rockefeller. We offer great benefits, such as 20 days of Paid Time Off, fully paid health, dental and vision care premiums, stock options, a generous parental leave plan, and perks like FitBits, rotating craft beers on tap in our kitchen, and food events featuring our clients' menu items (now you know why we give out FitBits!). Check out our culture map: https://www.olo.com/images/culture.jpg. 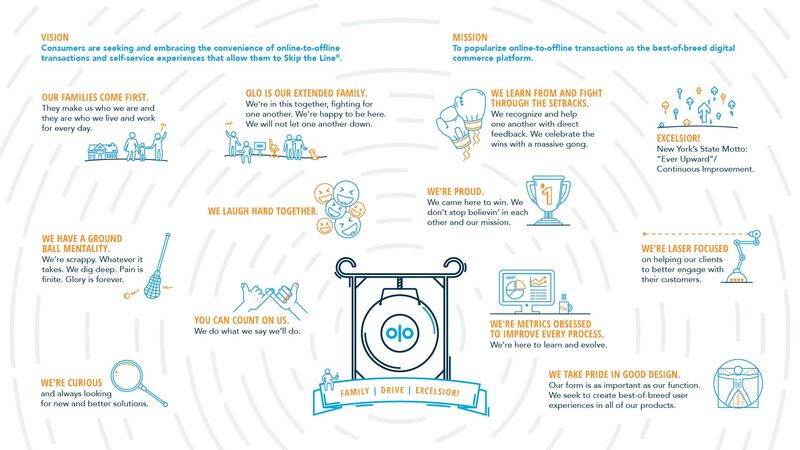 At Olo, we know a diverse and inclusive team not only makes our products better, but our workplace better. Many groups are consistently underrepresented across the tech sector and we are fully committed in doing our part to move the needle. Olo is an equal opportunity employer and diversity is highly valued at our company. All applicants receive consideration for employment. We do not discriminate on the basis of race, religion, color, national origin, gender identity, sexual orientation, pregnancy, age, marital status, veteran status, or disability status. If you like what you read, hear, and/or know about Olo, and want to be a part of our team, please do not hesitate to apply! We are excited to hear from you! We're quite up-front about the technical challenges our business faces. Our platform enables multiple white-labeled front-ends, maintains real-time connections into thousands of restaurants' POS systems, and coordinates complex transactions between these and other third parties (such as payment gateways and gift card providers). Running such a platform is not for the faint of heart. Mobile ordering and payments is an exciting and active industry, full of interesting players and yet still a relatively untapped market ripe for disruption. We have a relatively small team of smart, senior engineers who all get along. We're super DevOps oriented and like to automate and build tools for everything. We use Continuous Integration and push frequently. We dedicate time to refactoring to reduce technical debt and to introduce newer technologies. We encourage new ideas and experimentation. No part of the codebase is off-limits. Came here for the pizza coding test? Check out our open jobs and we'll send you the test post-application! 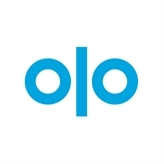 Want to get notified about new jobs at Olo?